The Alberta couple who transformed their kitchen to look just like Marge Simpson's have completed their renovations. The story, which was first reported by CBC Calgary in August, was picked up by media outlets across Canada and the world — including People, BuzzFeed, Geek and even a women's magazine in Estonia. 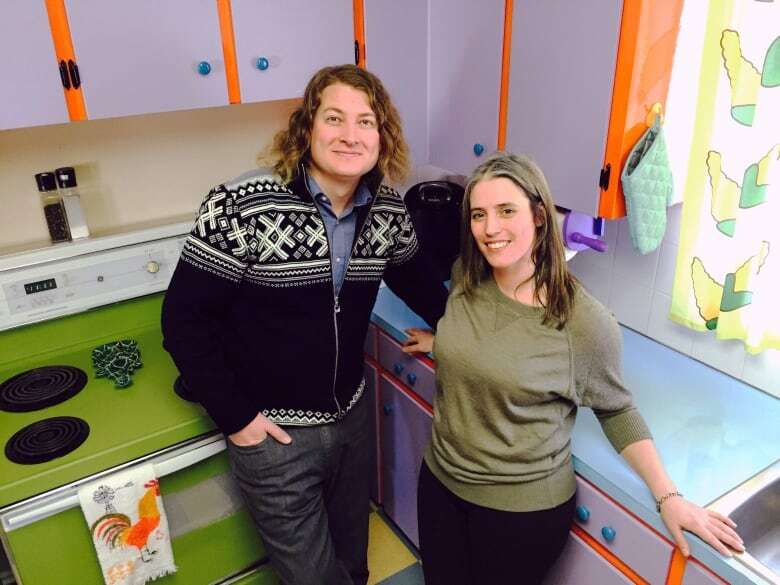 No doubt, Marcia Andreychuk and Joel Hamilton have enjoyed all the attention they've been getting for their quirky kitchen. 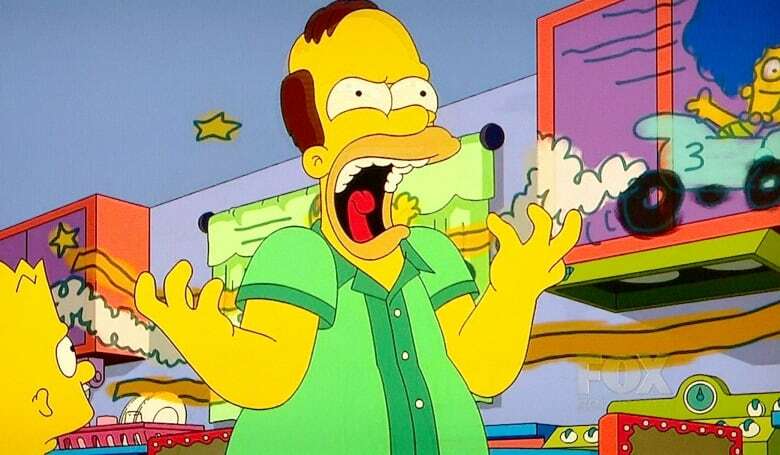 But what these Simpsons fans are even most excited about is being featured in a recent episode of the show. It happened in the ninth episode of season 27, called Barthood — a parody of the coming-of-age film Boyhood. Andreychuk had already seen it when it first aired on Dec. 13, but didn't make the connection until she watched it again this week on PVR. There's a scene where Homer and Bart are watching hockey on TV in a seedy motel room (Homer's idea of a father-son camping trip). Then, during a play-by-play, the hockey announcer mentions two players — Andreychuk and Hamilton. "And I thought, that can't be a coincidence," said Andreychuk. Then she remembered that earlier on in the episode, there were several scenes dedicated to the Simpsons' family kitchen. In an attempt to prove to his parents that he's a better artist than his sister Lisa, an eight-year-old Bart Simpson paints drawings all over the kitchen appliances, ceiling and cupboards. An angry Homer quickly paints over Bart's mess and moments after he finishes his renovations — Bart destroys everything again by driving the family car through the kitchen wall. Andreychuk says once she saw the first two references to her and Hamilton, she immediately rewound the episode to the very beginning. She says the hat trick happened in a scene near end at a goodbye party for Milhouse before he goes away to "Flight Attendant School." Milhouse, who has spent most of his teenage years at juvie, talks about "reinventing himself" at college. "I'll pretend I have girlfriend in Canada. I'll say she lives in Alberta and her name is Alberta … so I don't have to remember two lies," Millhouse said. While all three references are subtle, Hamilton is certain it was intentional. "I think it's us. I have no doubts," he said. "You know this is their style… They do shout-outs to different kind of groups, to people and stuff like that." The couple also believes the extensive media coverage of their kitchen was seen by many of the show's creators and voice actors. "The only intentional one was the use of their names — we wanted Homer to be watching hockey when he should've been paying attention to Bart and their names are perfect hockey names," wrote Jean. "The rest are coincidence, but if you want to say ingenuity ... who am I to argue?" Then, Al Jean actually called us (squeeeeee!). "It's so great to hear about people like them who love the show so much," he said. "It makes us really happy."